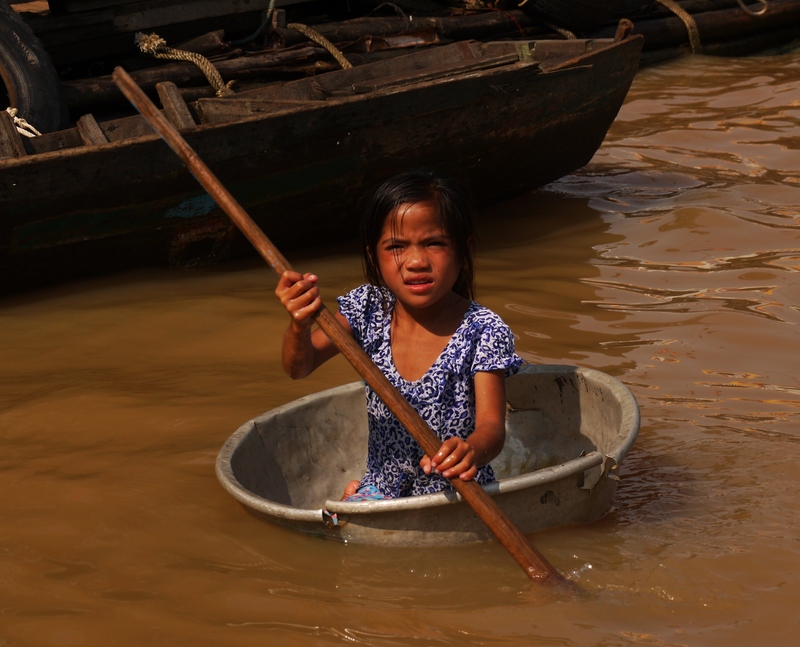 A little girl paddling around by a floating tourist shop asking for dollars. She had a little cup she’d use to bail out the water every once and a while. Published April 19, 2014 at 3090 × 2500 in Cambodia.